Nominations due April 28th! We still need official nominations for: President, Treasurer, Financial Controller, and PR/Communications Director. For more information click here. 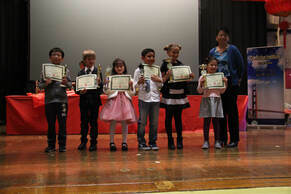 Two MIP Scholar's Win 1st and 2nd at 15th Chinese Language Bridge Cup Contest in San Francisco! Congratulations to MIP 1st graders Fiona Connolly and Alessandro Del Alamo who placed first and second in the Mandarin Poetry Recital Non-Native category! It was a highly competitive competition with over 1,200 students competing overall in different categories. The scholars were invited back to San Francisco for an award ceremony and reception at the San Francisco Consulate General of China that was hosted by Consul General Wang Donghua. We are proud of all those who participated! Thank you to our 3 new sponsors for your generous support! Please view our Become a Sponsor page for more information or contact vp@friendsofmip.com. 2/2 - MIP Students Invited to Perform at the 2019 San Clemente Outlets Chinese New Year Celebration! China Central Television (CCTV) recently visited our MIP elementary and middle school sites for a program they did about the growing interest in Mandarin language learning in the U.S. Our scholars and teachers are truly amazing! To view the CCTV program please click here. We need to raise $84,101 by October 31, 2019 to meet our $140,150 goal! CUSD Mandarin Immersion Program 2014 from Friends of MIP on Vimeo. Stay Informed with our Friends of MIP Newsletter "Baozhi" and Mailing List! Disclaimer: This website is not approved by the Capistrano Unified School District (CUSD). 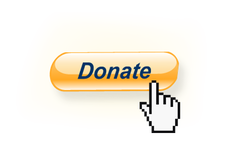 This site is owned and designed by the Friends of Mandarin Immersion Program (MIP). The group makes every effort to provide accurate and up-date information on its website, however, parents should contact CUSD for answers to questions critical to their children's education. This site is a participant in the Amazon Services LLC Associates Program, an affiliate advertising program designed to provide a means for sites to earn advertising fees by advertising and linking to amazon.com.